Not long ago the world watched as Hurricane Irma made its destructive journey through the Caribbean and Florida, closely followed by Hurricane Maria, a second Category 5 storm in less than two weeks. 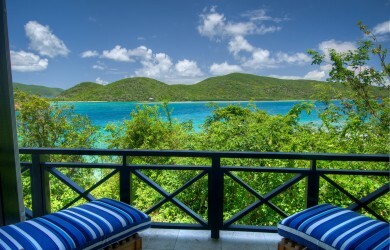 The path of the storm included Scrub Island Resort, Spa & Marina, a 230-acre private island resort in the British Virgin Islands. We are elated to report that our guests and associates on the island during the storm are safe. The resort sustained damages from the powerful storm and is closed for the remainder of the year to rebuild and repair. Scrub Island employs 140 hardworking individuals. Many have lost homes and possessions and will be without work for an extended period of time. We ask for those of you who have stayed with us and know our associates’ dedication to Scrub Island to consider donating during their time of need. We have been working with all of our friends and family of Scrub Island to deliver clothing and supplies to help our employees some of whom have nothing left. Everyone has been so gracious and giving and we are so appreciative. In order to help them re-build their lives, we are now turning to a broader audience for financial resources. Our goal is to raise $1,000 per employee to give them a head start on trying to restore some normalcy to their lives and take care of their families. Click here to donate. Our Scrub Island family has been overwhelmed by the response and outpouring of generosity! Thank you to all who have contributed, liked, shared or offered words of kindness. You have no idea the impact your thoughts, prayers and gifts have made. We have also received some comments of concern, for which we are truly thankful as it means we may not have provided clarity regarding this effort, so we’ll attempt to do so here. Most of the critical comments have centered around why Marriott doesn’t just write a check and why others should be expected to support our associates. Fair questions indeed. 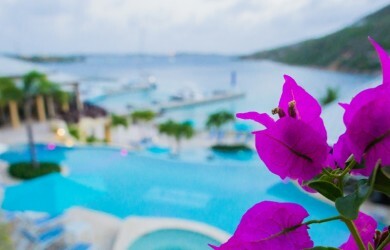 Not to get too granular, but Scrub Island is not owned or managed by Marriott. We are an independent hotel owner and operator, and we chose to affiliate our resort with Marriott’s Autograph Collection, paying them franchise fees in return for global distribution and sales/marketing support. Mainsail Lodging & Development is a Tampa-based company that was founded in 1999. While we are expanding our portfolio, we’re hardly an empire! 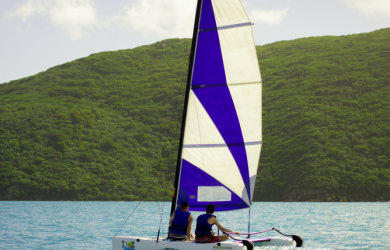 To learn more about us, please visit www.mainsailhotels.com. This fund was established because our guests, partners and fans reached out and asked how they could help. Having operated for over seven years, our guests, especially our repeat clientele, had forged relationships with our employees. Rather than donating to a larger relief organization, they wanted their contributions to go straight to our staff members. Amazing! Activating a GoFundMe page seemed to be the quickest, least complicated vehicle to allow giving of this kind. Indeed, you’ll notice that other resorts and businesses have done the same thing throughout the Caribbean. Finally, our relief efforts go far beyond this fund. We have shipped clothing, food, water and various relief supplies, and we’ll continue to do so. While these efforts are important because there is such need, they are not sustainable long term. We are currently employing as many people as feasible to begin the rebuilding process. Our immediate goal is to re-open the resort as quickly as possible to provide our associates with steady incomes and daily stability. The scope of the damage these storms caused is unimaginable. All of our employees’ homes were damaged, many severely. There is still no running water or electricity throughout most of the BVI. There are very few operating businesses. Communication and transportation systems were all but wiped out. Our destination was ravaged by two Category 5 hurricanes, and the second one, Maria, devastated Puerto Rico which we normally rely on for transportation, goods and services. Once that happened, it became apparent the road to full recovery will be a marathon and not a sprint. It was never our intention to over reach. 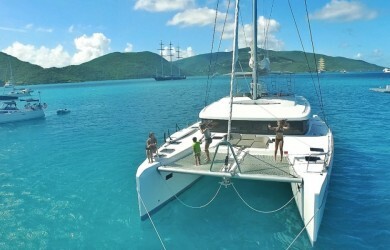 The one thing we’ve learned about an effort like this is the message can go a bit “viral.” If you have a connection to the BVI, Scrub Island and our associates, then we’ve accomplished our goal. Naturally, not all who have seen the post do, so for that, we apologize. Please follow us on Facebook, Twitter and Instagram, as we’ll do our best to post updates on our recovery! Thank you so much for your support and we look forward to welcoming you back to Scrub Island soon to see their smiling faces.